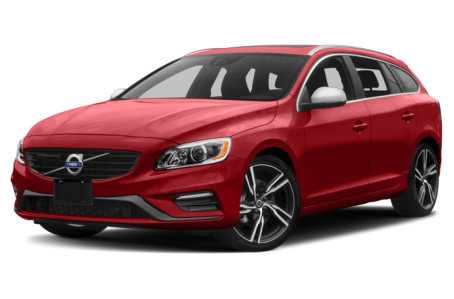 The 2018 Volvo V60 is a compact luxury wagon that competes with the Audi Allroad, BMW 3 Series, and Subaru Outback. Three trims are available: the T5 Dynamic, T6 R-Design Platinum, and Polestar. Under the hood, it is powered by a standard 240-hp, turbocharged 2.0-liter four-cylinder engine mated to an eight-speed automatic transmission. Front-wheel drive comes standard, while all-wheel drive is available. The Polestar comes with a more powerful 362-hp, turbocharged and supercharged 2.0-liter four-cylinder engine.